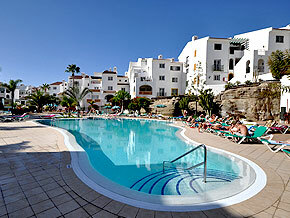 All bed linen, hand, bath and tea towels are supplied for the number of persons booking and changed on a weekly basis. 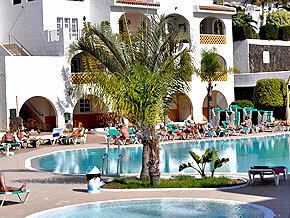 Puelo Torviscas is situated right on the seafront, approx 100 mtrs from the secluded Torviscas beach. 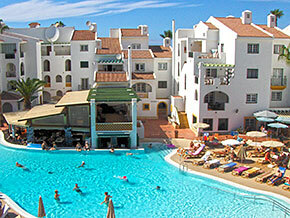 This beautiful complex has been imaginatively designed with a large free form swimming pool, complete with swim-up pool bar and snack bar. 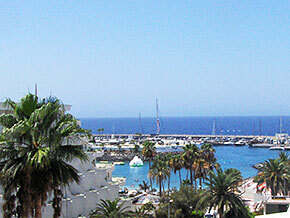 This area has retained its exclusivity by virtue of its unique location, and the wealth of local amenities, such as the picturesque Puerto Colon Marina, tennis courts and the largest water fun-park in Europe. 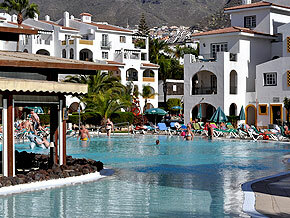 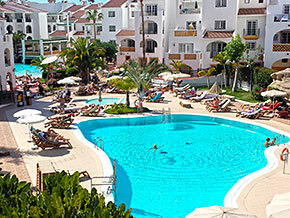 There are extensive patio gardens with sun-beds and sun-brollies to relax under the continuous Canarian sunshine. 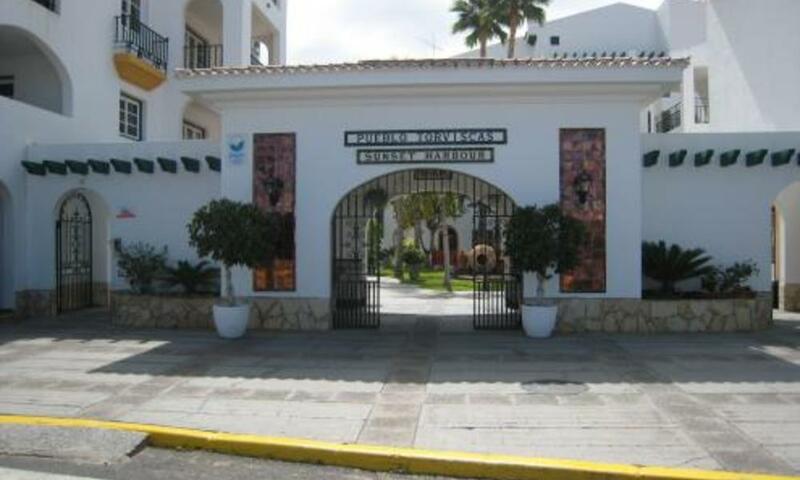 There is a variety of bars, shops and restaurants to suit all tastes in the vicinity and the main centre of Playa de las Americas is a comfortable 20 minute walk away.